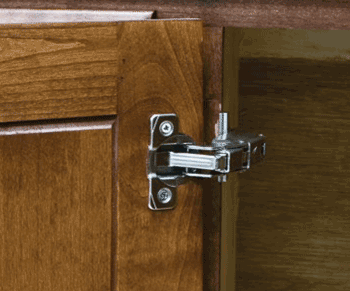 Here's the hinge you need to install a wide opening door for use in a corner application or if you just need a cabinet door to open wide. 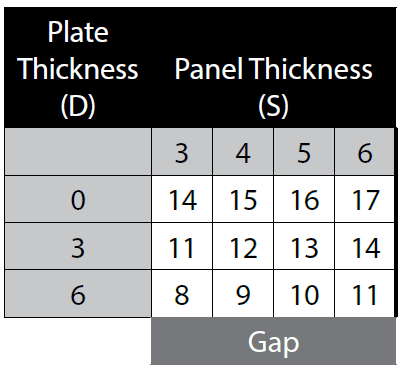 The charts for calculating door sizes are below. 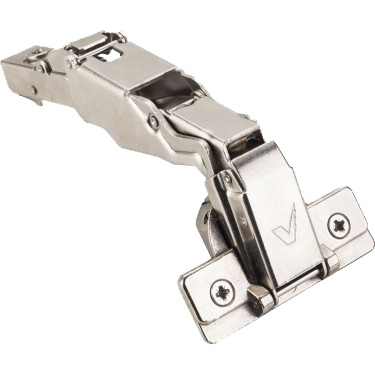 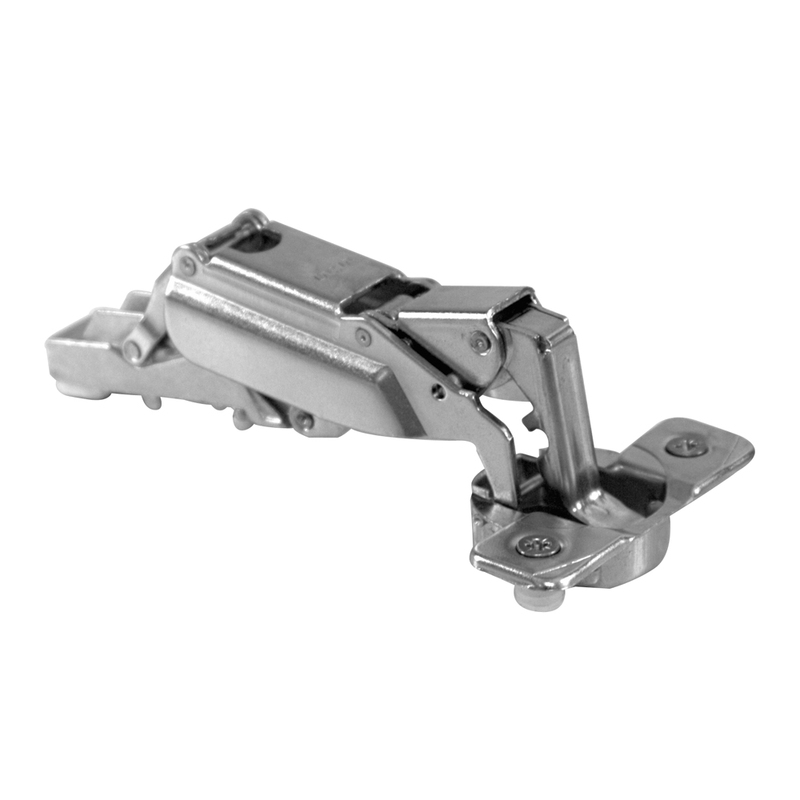 Full overlay standard 170° hinge (500.0M73.05) -- Providing years of service under normal operating conditions. 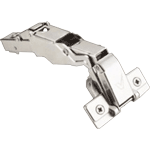 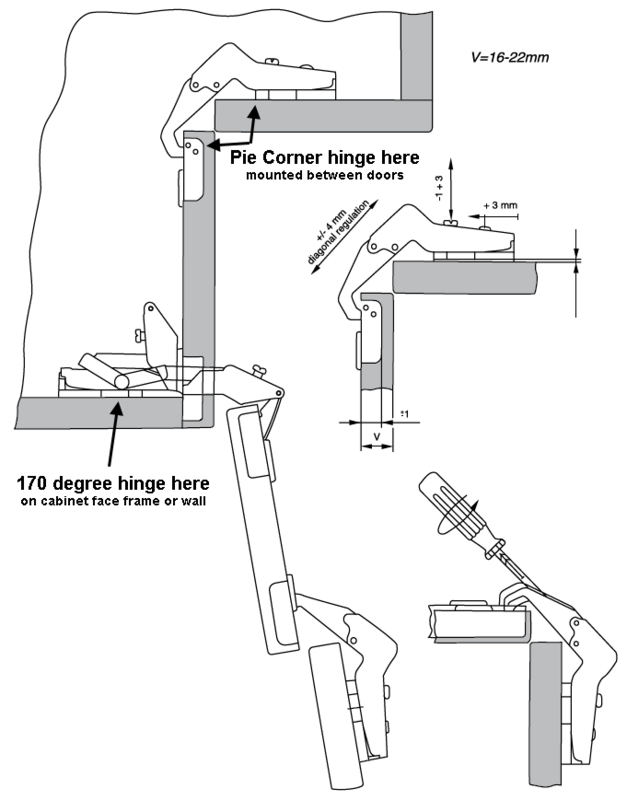 The full overlay heavy duty 165° hinge (900.0M73.05) -- Featuring a unique "metal plate" construction which is ideally suited for commercial and casework applications with heavier doors and heavier use. The Full overlay soft-close 165° hinge (700.0M73.05 -- State of the art in soft-close corner applications and will be sure to satisfy your customers desiring a cushioned close. 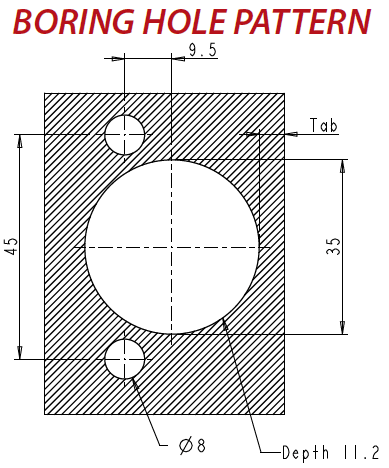 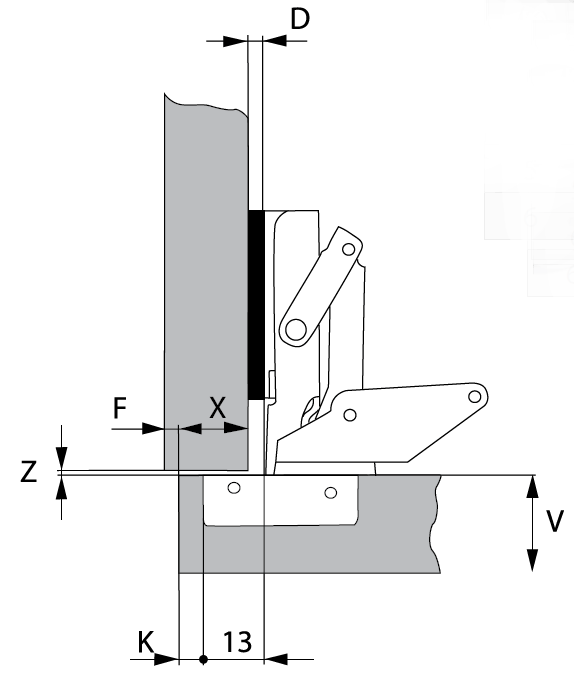 With the 170° hinge, using a 0mm face frame mounting plate and the boring placed at 5mm from edge of door (tab), the standard overlay will be 18mm, just under 3/4".